Some celebrities and politicians are buying fake accounts on Twitter in order to look more popular. Some celebrities and politicians are buying fake accounts on Twitter in order to look more popular, and now New York Attorney General Eric Schneiderman said he will crack down on the practice. 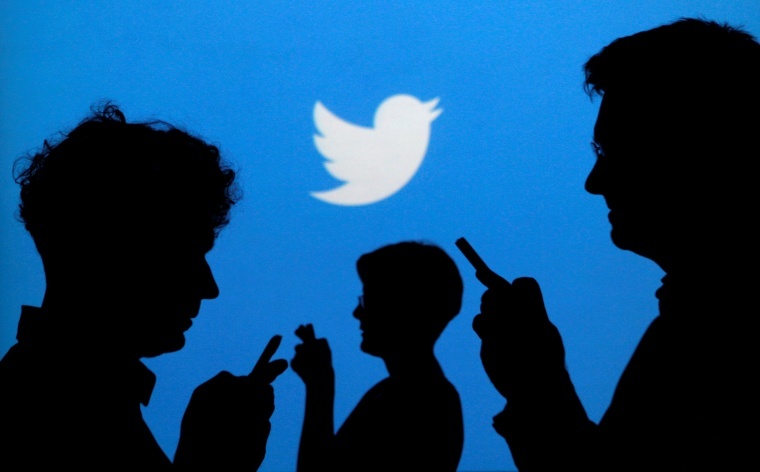 Having a high number of followers and retweets has become the currency of social media. It helps people get jobs and endorsements, and users are more likely to engage with content that looks more popular. The social media platform's algorithms use the numbers to determine whether to promote the message to more users. So what does it take to be "Twitter famous?" Are fake social media followers stealing your identity? In October, NBC worked with a group of researchers to buy Twitter bots from Devumi, a social media marketing company. NBC News' Jo Ling Kent reported that for just $25, anyone can get a message retweeted thousands of times by a small army of sketchy and bogus profiles and bots. On Sunday, The New York Times reported that it investigated the same company and found that Devumi had a stockpile of over 3.5 million automated accounts it sold over and over again to its customers. Those customers included a celebrity chef, actor John Leguizamo, and even Twitter board member Martha Lane Fox. At least 55,000 of the bogus accounts copied the photos, names, and hometowns of legitimate users, making only slight tweaks. For instance, change an "i" to an "l" in the profile name, a kind of "social media identity theft," The Times reported. All told, the company artificially boosted their customers' accounts by over 200 million followers, the Times investigation found. Reached for comment, Twitter said it catches more than 6.4 million bots per week. In later comments, it tweeted, "The tactics used by Devumi on our platform and others... violate our policies and are unacceptable to us. We are working to stop them and any companies like them." techJust How Easy Is It to Game Twitter Like the Russians? Experts say Twitter isn't breaking any laws by allowing automated bots on its network — but by not putting up an anti-SPAM "CAPTCHA" when new users sign up and allowing more automated access, the social media platform is not doing as much as it can to stop the botification. And those inflated engagement numbers the bots provide help the company's profits. "The U.S. government in terms of the laws that there are surrounding being able to buy followers or buy fake content, it's the Wild West," Sam Woolley, Research Director for the IFTF Digital Intelligence Lab, told NBC News. Attorney General Schneiderman announced an investigation into Devumi on Sunday. "Impersonation and deception are illegal under New York law," he tweeted. "The internet should be one of the greatest tools for democracy — but it’s increasingly being turned into an opaque, pay-to-play playground."